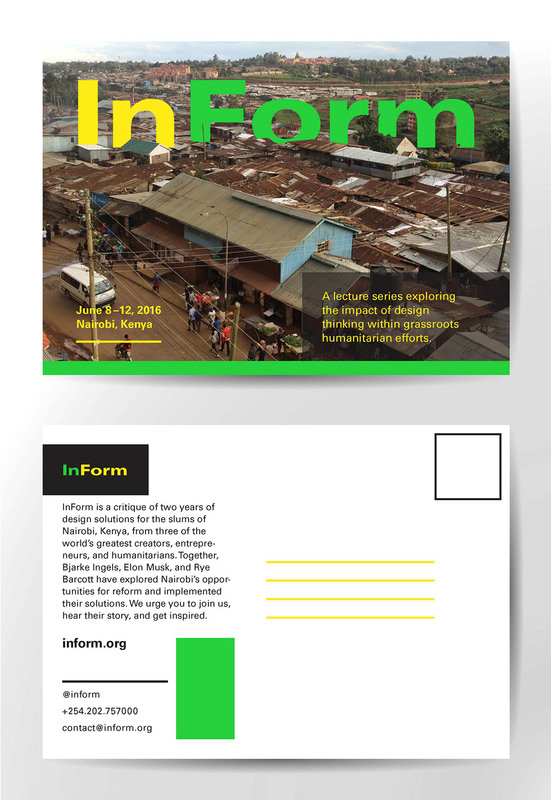 InForm is a design conference focused on urban development in and around the slums of Nairobi, Kenya. 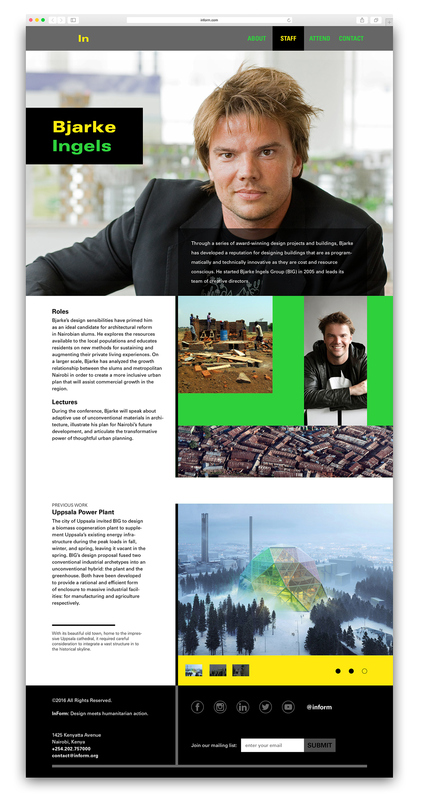 It features workshops by visionaries like Bjarke Ingels, Rye Barcott, and Elon Musk. 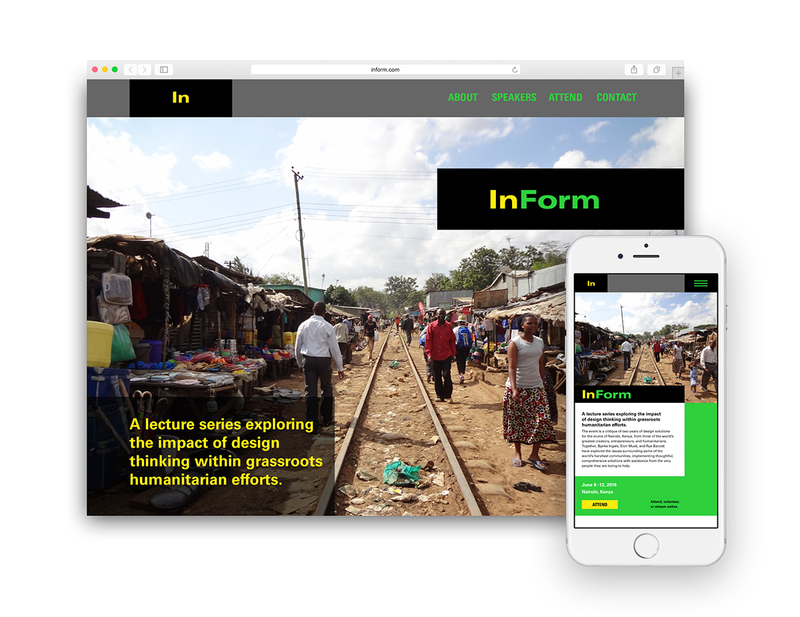 It's also not real. 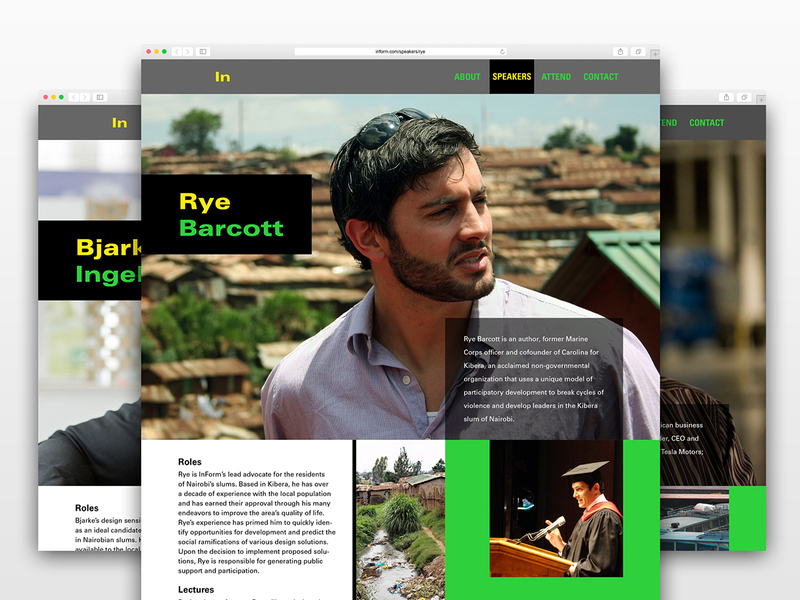 It was ideated for a web design/branding project at the Maryland Institute College of Art.